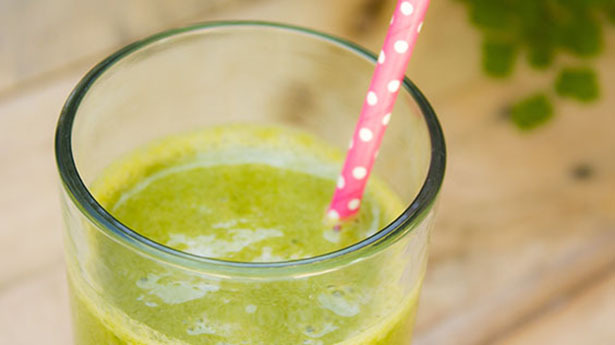 A refreshing and filling smoothie that is sure to boost your energy or help you rebuild after a workout. Peel and dice apple. Destem parsley leaves if desired. Combine all ingredients, except ice, in blender. Blend until smooth. Add ice and blend again until smooth and frothy. Serve in a chilled glass immediately.